The other day when the Missus/Dragon cooked her karaage chicken for the family who had come r place she also prepared chirashizushi/decoration susi as well! The little difference was that when she had asked me to buy some ood beef for another dish found out I had bought some extravagant wagyu beef! As the Japanese, especially the Dragon’s family, cannot conceive a meal without rice she decided to make a special sushi with wagyu. She prepared the usual sushi rice (I did have to help with stirring/cutting the rice once steamed and addd with rice vinegar!). Her proportions arefor 2 large tablespoons and a little more of rice vinegar for 1 go/Japanese rice cup. 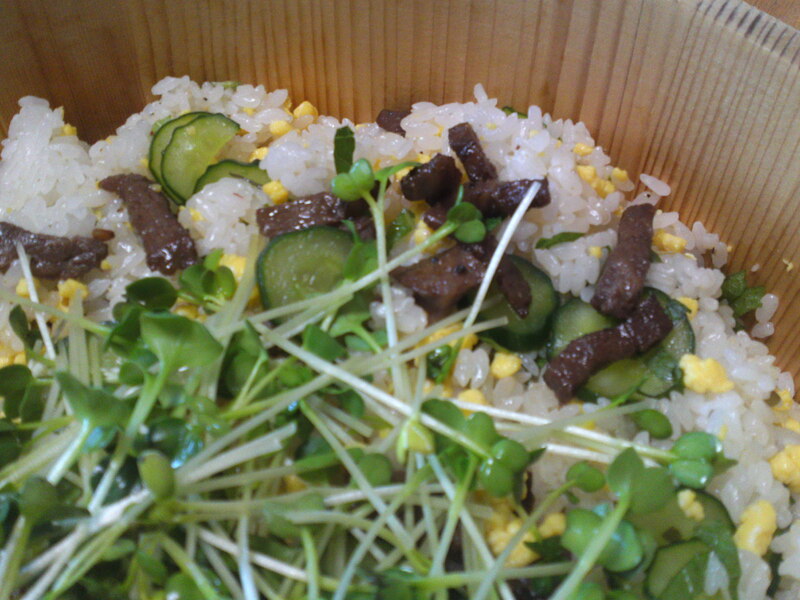 While the rice was steaming she cut the wagyu beef into small thin strips and fried them in soy sauce, sake and mirin. Once cooked she let it cool completely. 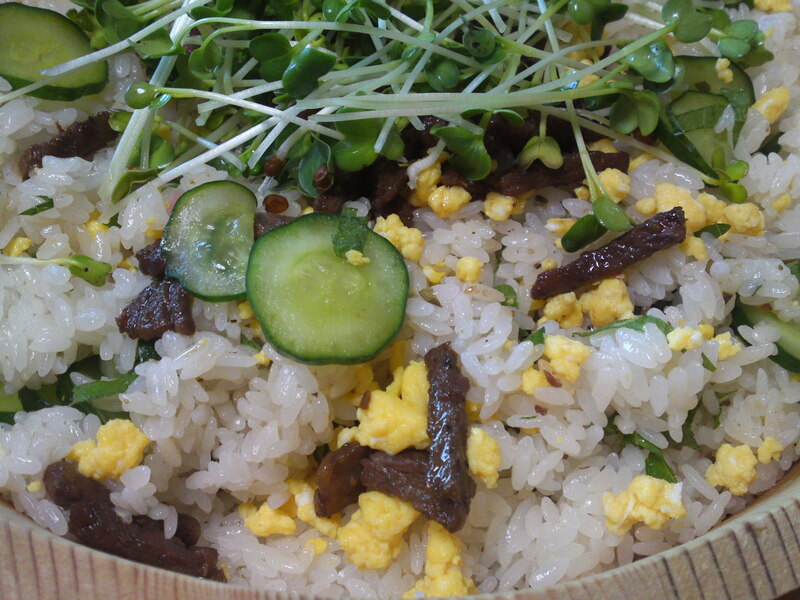 She prepared some sweet egg soboro/fine Japanese scrambled eggs. 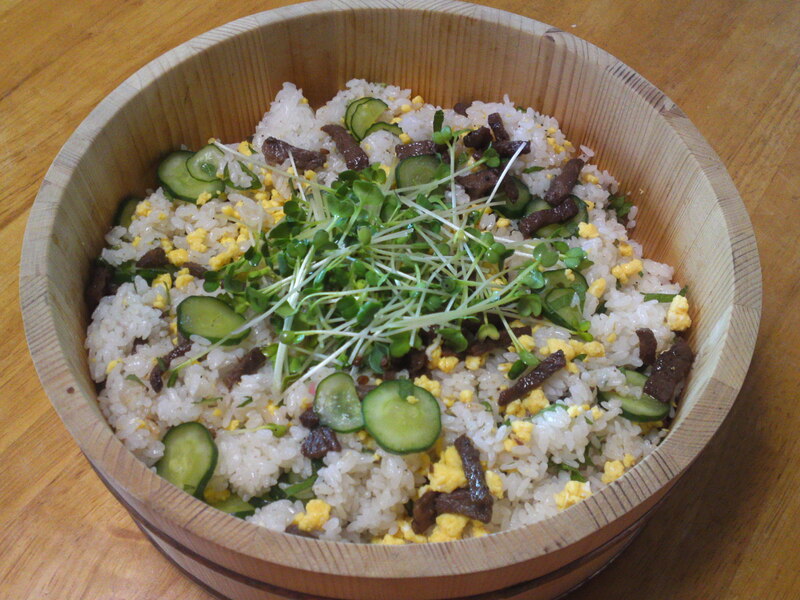 Once the rice was ready she added the wagyu beef, finely chopped konbu seaweed, egg soboro and finely sliced cucumber and mixed the lot inside the large wooden sushi vessel. 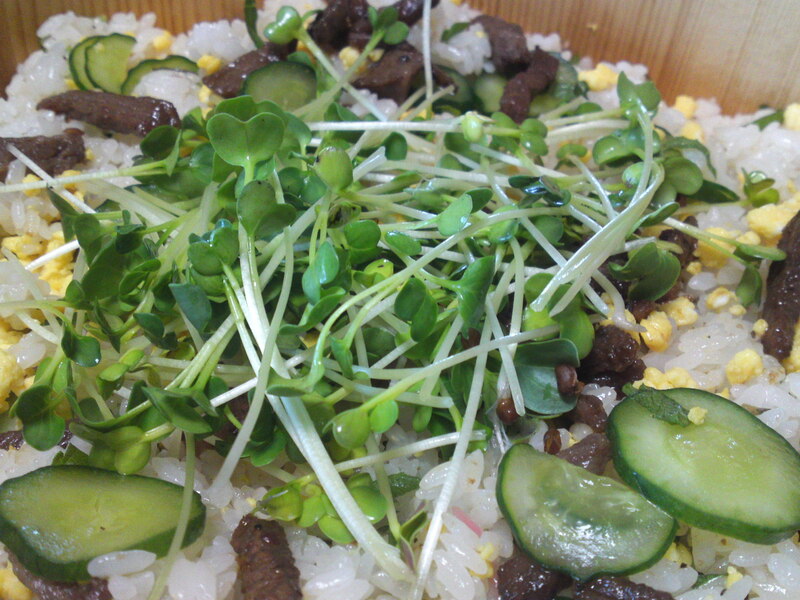 She topped the whole with plenty of fresh daikon sprouts for decoration and balance. The sushi vessel was placed in the middle of the table and people served themselves directly for it! A good idea for a party? A good accompaniment for a BBQ?